Pica8 has announced Nymble, a software application to manage switches running the PICOS network OS. It including automation capabilities and management for configuration, imaging, and licensing. Pica8 also announced support for new switch hardware from Dell EMC. Cato Networks has added a new managed threat detection and response service to its SD-WAN portfolio. The service aims to reduce the dwell time of a malicious intruder to limit the damage of a security compromise. 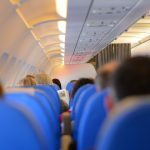 You don’t need to get on a plane to expand your knowledge or learn new things. The Packet Pushers’ next Virtual Design Clinic is Thursday, March 14 at 11:00 am Eastern US. Live and online, you can watch technical presentations and get your networking and design questions answered by experts–all from your laptop! Kemp Technologies’ 360 Vision predictive analytics platform can now collect and analyze data from F5 and NGINX load balancers. Startup Arrcus, which makes the ArcOS network operating system, has announced that its NOS will run on 400GbE whitebox switches using Broadcom’s Tomahawk 3 ASIC. 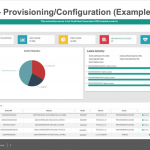 LogicMonitor, which sells a SaaS platform to monitor IT infrastructure and public cloud performance, has launched new offerings for Kubernetes and a service-oriented view of infrastructure components. 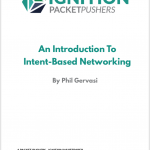 Learn the key technology concepts and business drivers behind Intent-Based Networking (IBN) in this Packet Pushers whitepaper. It examines how IBN systems combine automation, orchestration, and continuous validation; provides a technical overview of how IBN systems work; analyzes benefits and drawbacks; and offers 5 key takeaways. 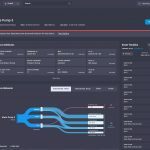 Apstra has announced root cause identification and other new features in the latest version of its intent-based networking (IBN) software, but IBN has hurdles to get over before its utopian vision of the data center can come to fruition. 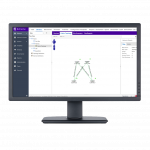 LiveAction’s 8.0 version of its LiveNX network performance management software now integrates with packet capture hardware and protocol analyzer software from Savvius, which LiveAction acquired in June 2018. Teridion has announced a virtual network service to compete with MPLS providers. 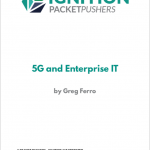 Its overlay combines IPSect tunnels, monitoring, and performance-based routing to meet customer service levels, and it’s partnering with SD-WAN vendors to go to market. Cisco Systems has announced its first-ever 400GbE switches. 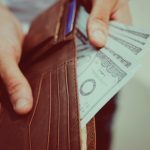 Expected to ship in the first half of 2019, these switches target hyperscaler companies, cloud and service providers, and large enterprises. Arista Networks has announced two 400GbE switches built on Broadcom’s Tomahawk 3 ASIC. The switches include features such as a 50% increase in buffer size, elephant flow detection, and two different optics options. Cato Networks has announced a new SD-WAN appliance and new features to extend service availability in the event of device failures, network changes, and even the loss of Cato’s private network.